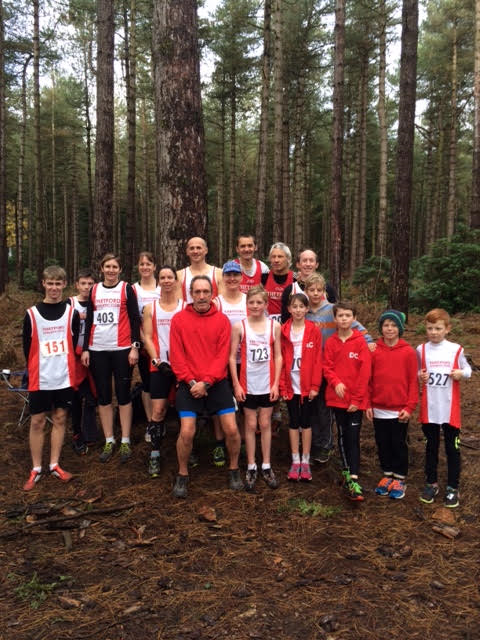 Senior athletes Tina Plumley and Kevin Vaughan lead the way for the Thetford contingent at the latest round of the Ryston Cross Country Grand Prix Series. Both won their specific age categories with Plumley completing the forest trail in a time of 39:56 whilst Vaughan recorded a time of 32:20. 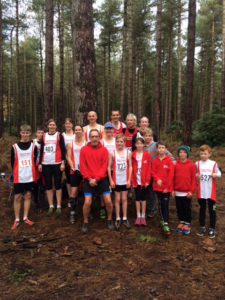 A massive five Thetford athletes secured second place finishes in their categories with Cliff Bailey finishing 2nd in the V55 race with a time of 36:12 whilst Louise White secured the same position in the V40 category recording a time of 36:27. The V40 race for male athletes saw Simon Smith grab second spot, crossing the line in 33:07 with Sabine Schaefer matching that result in the V35 female race with a time of 36:37. James Peck meanwhile, was the most successful junior athlete of the day and the fifth Thetford athlete to achieve second spot of the day with a time of 11.08. One of the youngest competitors, Alfie Findlay, finished third in the Under 9s race, crossing the line in 3:04. Abigail Clouston also finished in third place, this time in the U13 category with a time of 12:10 whilst Charlie Stone came third in the U17 race, recording a time of 17:57.